See how your can create your own website and get it online. The Website.com Site Builder is packed with features, widgets, and tools to help you get your website online. This guide will show you how to navigate and use the Site Builder to create your website. Congrats! You've created your Website.com account and you're ready to build your website. As the saying goes, "the first step is always the hardest" and it's no different when building a website. So, we've created over 400 templates for you to use to help you get past this hurdle. You do have the option of building your website from scratch, but we don't recommended it unless you're experienced with web design. 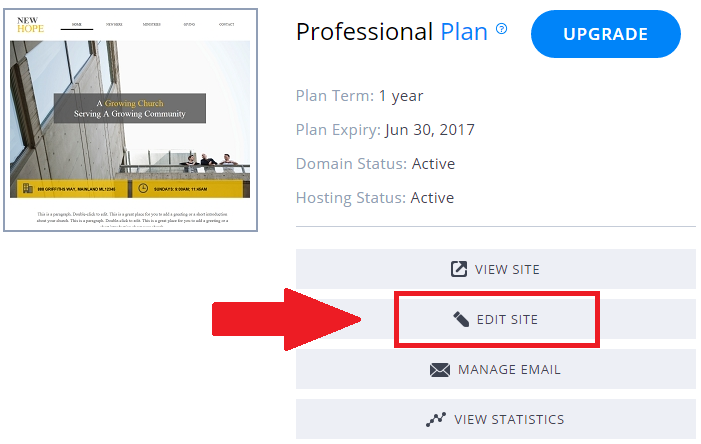 Log into Website.com and click Edit Site. This will take you into the Site Builder. 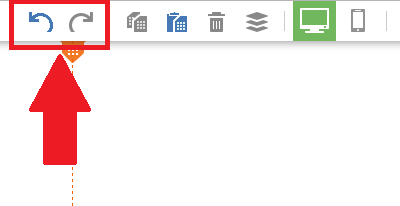 Click Site in the top toolbar, and click Reset Template. You can browse through the library of templates. When you've decided on a template, point your mouse cursor over it and click Select. Click OK and then Continue to confirm your selection. Our templates are fully customizable, meaning you can change everything including the content, styling, and layout. So when you're choosing a template, focus on choosing a layout that you like rather than the images or colors. This is because changing the text, images and colors can be done easily without any skill, whereas changing the layout requires some design sense on your part. The site builder is where you will be creating and editing your website. The main area -- or the canvas -- is the working area of your website. This is where you can move your page elements around, edit your text, and make any changes you like to your web page. 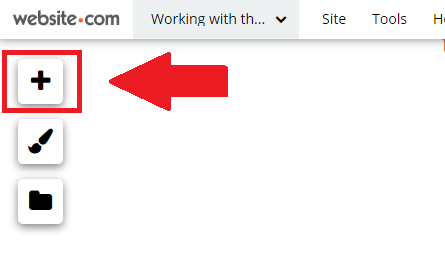 The toolbar is at the top of the page and the page design functions are to the left. You can find these functions in your toolbar. You can use these functions to undo or redo any of the changes that you're making to your canvas. Changing pages or ending your session will reset undo and redo, so make sure you're satisfied with what you have before you navigate away. Select the element you wish to copy by clicking it. If you want to copy multiple elements, you can select them by holding the CTRL key on your keyboard. Copy the selected elements by clicking the Copy Icon, or by pressing CTRL + C on your keyboard. Paste the elements by clicking the Paste Icon, or by pressing CTRL + P on your keyboard. This function will delete the selected elements from your canvas. 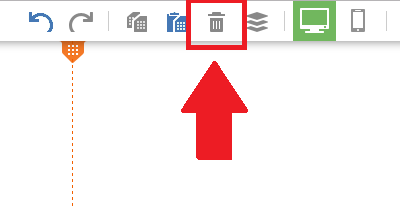 Just select what you want to remove and click the delete icon. This will show you which elements are stacked on top of or beneath the selected element. The crosshair icon indicates the element that is currently selected. You can drag the currently selected element up and down the list to change how it's layered with relation to the other elements in the stack. All of the website design functions are located to the left. This is where you can change the overall color scheme and font styles for your website. The colors for your website elements are linked to a color scheme by default. You can drastically change the look and feel of your website by changing to a different color scheme. Like color schemes, the fonts for your text elements are linked to a font style by default. Any changes you make here will be applied to all text that is linked to that font style. This is where you can manage the image, audio, video and other document files that you've uploaded. The site builder will automatically save your work so you don't need to worry. 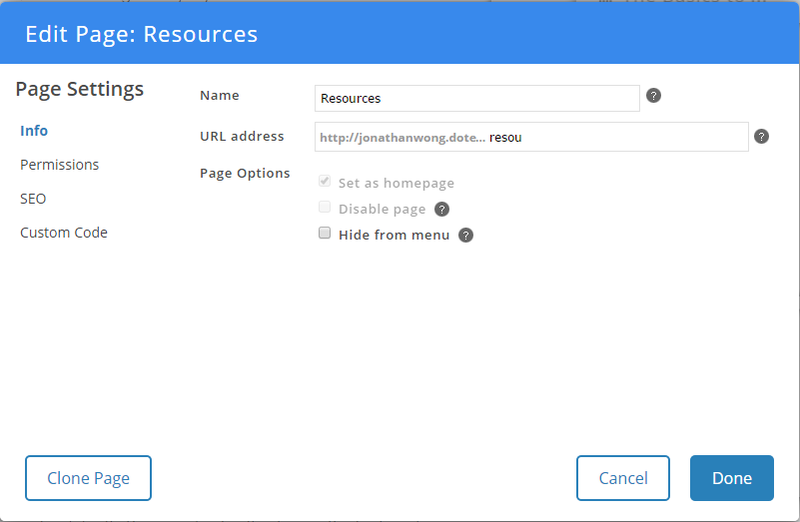 The page management function in the site builder gives you pretty much complete control over your pages. 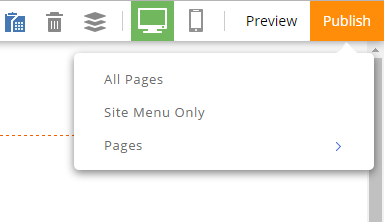 Not only does it let you add and remove pages, it also allows you to rearrange your site menu and set up your meta tags. 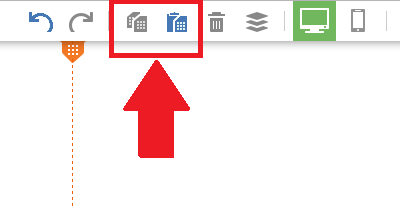 You can access the page management function by clicking on the page name drop-down menu in the toolbar. 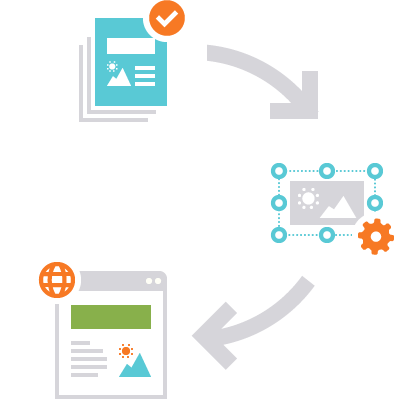 You can add additional pages to your website by clicking Add Page. 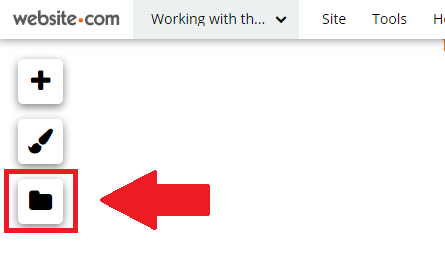 You can jump to a different and work on it by clicking on the page name from the list. 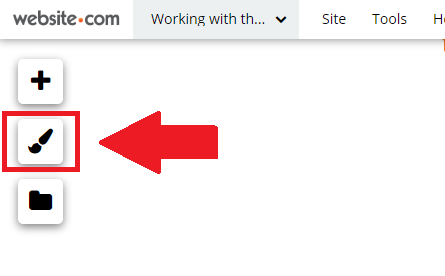 You can rearrange how the items in your site menu is displayed by dragging the Drag Handle around (the dotted square to the left of the page name). 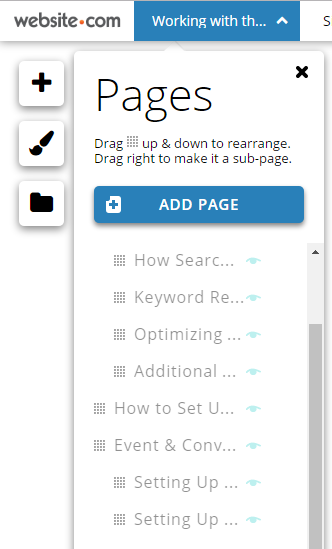 You can set a page as a subpage of another page by dragging its Drag Handle to the right. 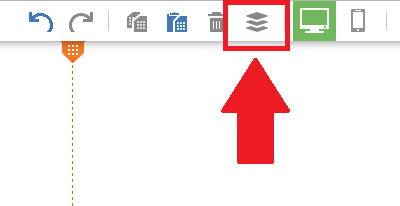 You can remove unwanted pages by clicking the X Icon that's to the right of the page name. 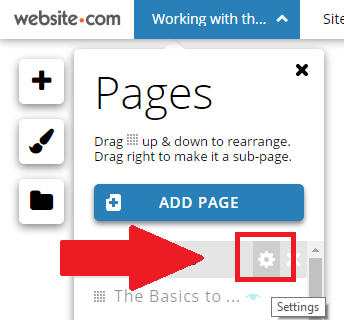 The page settings and properties is found by clicking the gear icon that's to the right of the page name. 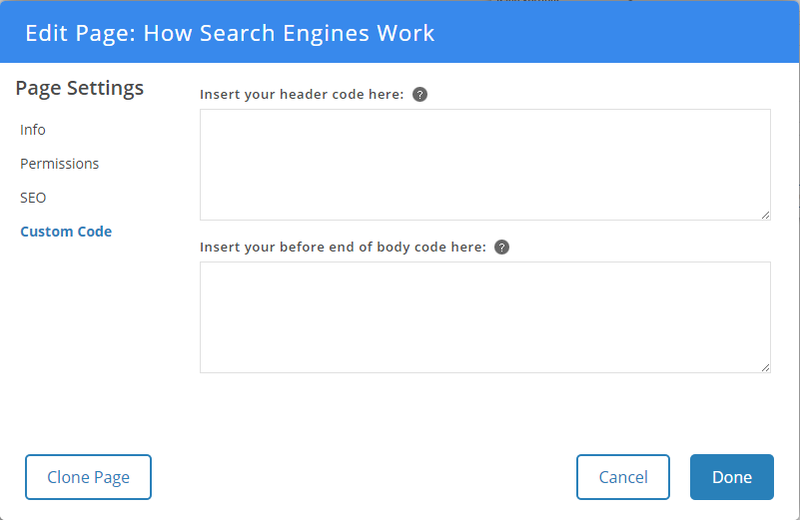 The settings are split into four categories: Info, Permissions, SEO, and Custom Code. You can change the name for your page here. This page name will be used to reference this page in the site builder and is the name that will appear on your site menu. This is the URL or web address for the page. By default, this will be set to your page name in lowercase, with any spaces being replaced by dashes. Checking this will set this page as the homepage for your website -- that is, the default page your visitors will land on when they go to your domain. A website can only have one homepage. So setting a page as the homepage will automatically revert all of your other pages back to regular pages. Checking this will disable this page. This means it will become unreachable by the public and it will be removed from your site menu. Checking this will remove this page from your site menu. The page will still be active and visitors can still access the page by going to its URL. Checking this will restrict public access to this page. Selecting Password Protect will require visitors to enter a password before they can view this page. 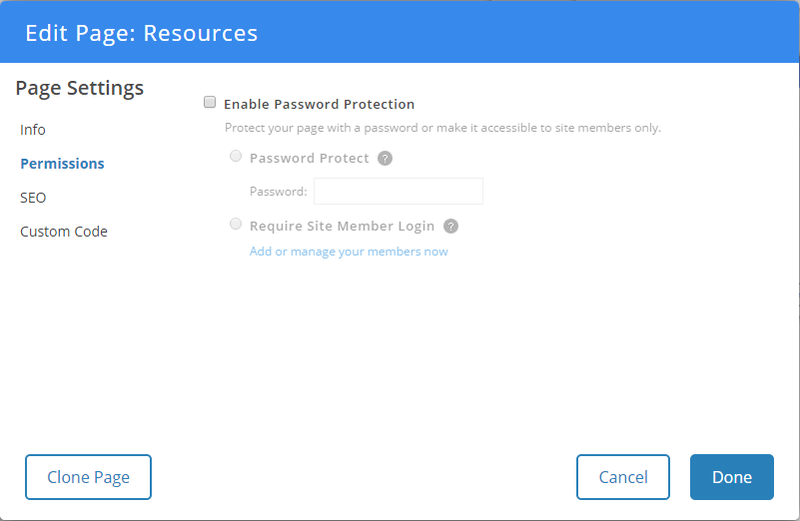 Selecting Require Site Member Login requires the visitor to log in before they can access the page. These are meta tags that are used by search engines. If you're using any 3rd party scripts or conversion tracking services (like Google Analytics or Google Adwords) and you need add custom code to your page, you can do it here. Once you've built your site or you're done making changes, you will need to publish your website in order for the changes to go live. 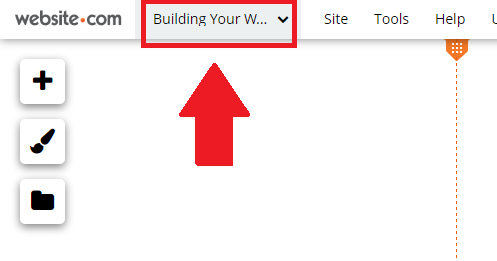 To publish your website, click Publish at the top right of the site builder. You will see 3 options. Choosing this option will publish your entire website all in one go. 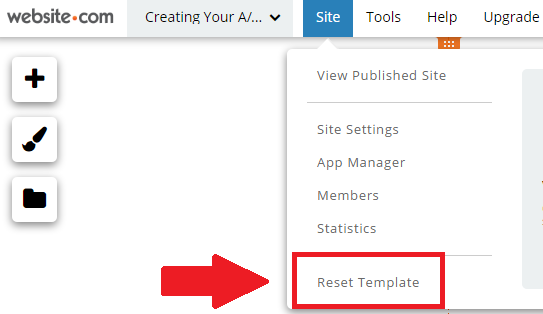 Choosing this option will publish changes that are made to your site menu only. This is handy if you've rearranged the items in your menu and you just want to see how the new menu looks before publishing the rest of your site. 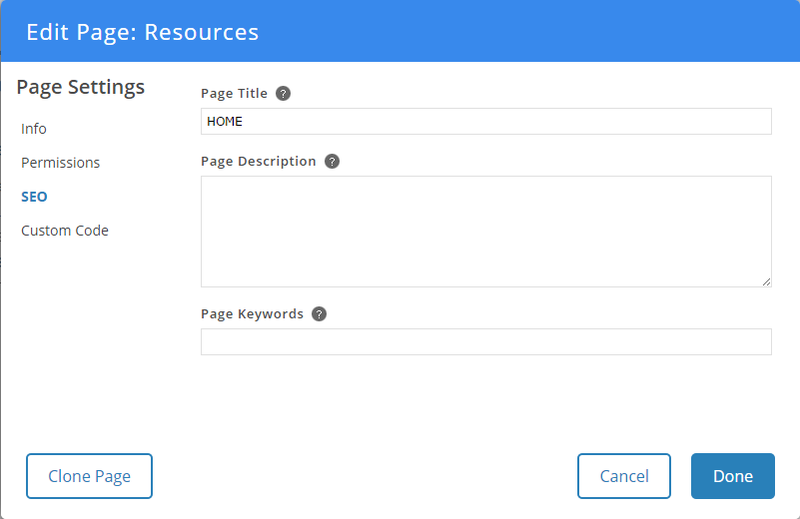 This option will allow you to choose which pages you want to publish specifically. Try it now risk free.